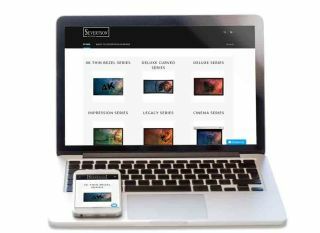 Severtson Screens has launched a Shop Now feature to its website where current Severtson dealers and distributors can order Thin Bezel Series, Deluxe Series, Deluxe Curved Series, Legacy Series, Impression Series, Cinema Series, Spirit Series, Spirit Series Tab Tension, and Tension Deluxe Series screens. “In our continuing efforts to make our screens available to our dealers and distributors in as streamlined process as possible, we’ve developed the new direct purchasing option as another feature to our website,” said Toby Severtson, president and CEO of Severtson Corp. The process has been as simplified as possible for users of the Shop Now feature, according to Severtson. The user must first sign up on the new website. Once they have successfully signed in, Severtson will go through the process of approving and setting up their account.